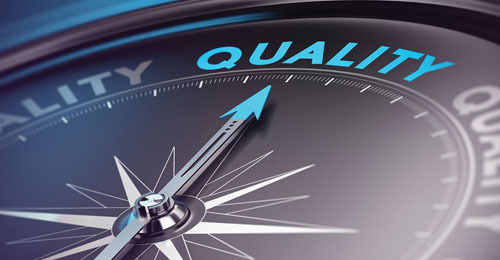 "The Arising Importance of High-Quality Translation in Today’s World" posted on 12/14/2018 at 4:53 PM by writer. Translation is of immense significance in our lives as it helps us in many ways. The global world today is more compact and interactive because there are many translation service providers around the world now. The literature in one language and the folklore of a region are meant to be sharedwith others too. The multinational companies and business empires too rely on translation to run their business effectively in foreign countries. Despite the fact that a large population of the world speaks and understands English today, still, there are language barriers which hinder communication and comprehension of people. Also, the text, when read by people in their local language, has a greater influence on them. This way they can relate to the text and understand it better. There is no denying the power of language on affecting and influencing the mindsets of people so the translation is important. This varied range of services shows just how much important translation is getting day by day. Why is high-quality translation so important? High-quality translation means to translate a document from one language to another in a way that it’s meaning and essence remains the same. This means that the sentences should have the same arrangement and feel that they did before getting translated. This is important because the companies need to get their message across to their clients in a way that they originally meant. This way they can clarify any confusions and ambiguities that might arise. Here are some of the things for which high-quality translation is very vital. The companies who run offices and branches in several countries need to have their documents and translated to be able to communicate with the audience and clients there. The staff based on those regions also need translated instructions to be able to perform up to the expected mark. High-quality translation also helps multinational companies to deal with local businesses in an area. The movies, books, music and other forms of art and literature are boundless so they transfer to other nations too. They need to have these things translated in a high quality to be able to understand them better. Now foreign policy and external affairs of a nation are something that cannot be maintained well if there is no proper communication with other nations. This is where they need high-quality translation so that they can have a peaceful and beneficial existence on a global level. International diplomacy and representation of a nation are as good as its communication with other nations is, which directly depends upon high-quality translation. Seeing videos of news received from other countries will make no sense if they are in the local language. In order to understand them and develop an analysis on them, we need to have them translated for us in our local language. This is significant because we need to know what is happening out there in the world to be able to develop and make progress. Tourism is something that largely depends upon exploring foreign lands and cultures. This is not that enjoyable and easy if you do not understand how things go on in those countries. For this too, high quality translated tourist material is significant. So, it is justified to say that the translation industry is going to thrive more in the coming years as its services are in huge demand!